Much to the pleasure of Air Max fans, Nike continues to pry open their vault doors with re-issues of silhouettes that have either never been retroed or haven’t seen the light of day for ages. One of models in that category is the Air Max Tailwind 4, a running silhouette that debuted twenty years ago in 1999. The Air Max Tailwind series, in its heyday in the 1990s, was well-received by Air Max fans over the years as it lives in that grey space between obscure and mainstream, but this upcoming collaboration with Supreme will certainly shift it toward the latter as we get a first look at the design on the feet of Dayanne Akadiri, one of Supreme Paris’ employees. What’s revealed is a black/orange/blue colorway, a tweed-like material on the upper bordered with a bronze-finished piping, and the italicized brand logo on the lace stay on the tongue. While a release date isn’t revealed just yet, this recent surfacing suggests you can expect it sooner than later. See the first look ahead, and remember that Nike is bringing back OG colorways of the Air Max Tailwind 4 soon as well. 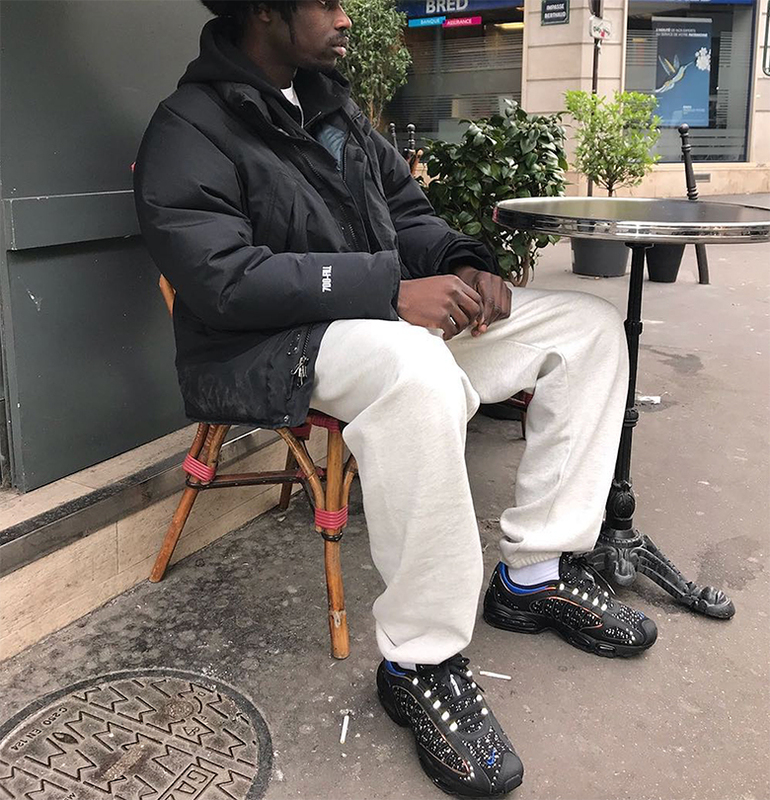 The post First Look At The Supreme x Nike Air Max Tailwind 4 appeared first on Sneaker News.